This photo of my grandparents was taken at my wedding in 1993. Both of them are gone, now. When they turned 75, there was a big 150th birthday celebration. 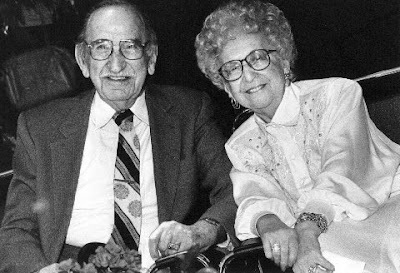 They would have been 95 this week. I’m thinking of them today. Oh, bless them. They look so sweet. Did they get to know your boys?